Boston, Mass. – Three Upper School students from Charles Wright Academy were members of an award-winning team of researchers at the 2017 International Genetically Engineered Machine (iGEM) Giant Jamboree held Nov. 9-13. Kian Croston ’18, Keshava Katti ’18, and Jonathan Zacarias ’18 were part of a 13-person team that also included high school and college students from Bellarmine Preparatory School, the University of Washington at Tacoma, and the United States Military Academy. The team conducted its research through Tacoma’s Readiness Acceleration and Innovation Network, or RAIN, a nonprofit dedicated to unlocking local innovation in the life sciences cofounded by CWA alumnus and University of Washington at Tacoma professor Dr. David Hirschberg ’80, who now serves as RAIN’s director of research. The iGEM Giant Jamboree is an international competition for students at the high school, undergraduate, and graduate levels who are interested in the field of synthetic biology. This year it was held at Hynes Convention Center in Boston. 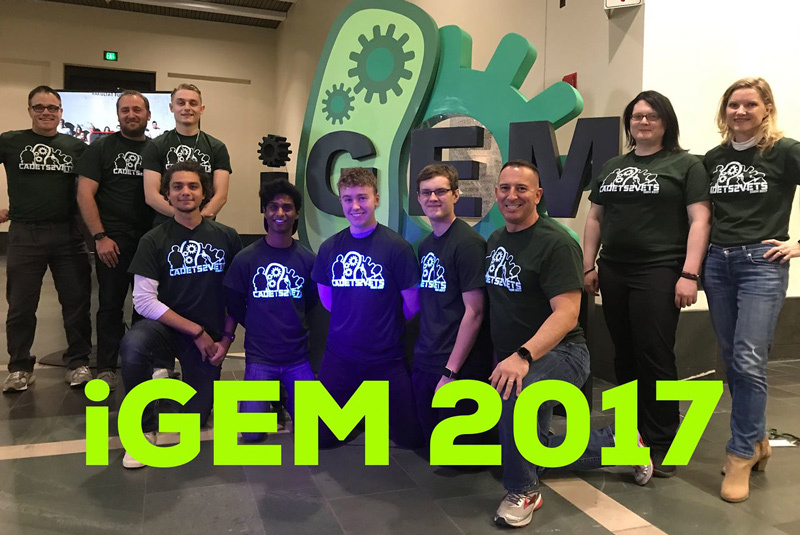 iGEM began in January 2003 as an independent study course at the Massachusetts Institute of Technology (MIT), where students developed biological devices to make cells blink. This course became a summer competition in 2004 with five teams. In 2017 the iGEM competition has expanded to 310 teams from more than 40 countries. The RAIN team, although composed primarily of high school students, competed at the undergraduate level, where they earned their bronze medal—in the same place as teams from Harvard University and Stanford University.